5 + three = Required Please enter the correct value. Energy Investing Update: Lost in the debate about exporting U.S. oil and natural gas is any mention of America's greatest energy export: coal. And while legislators, corporations, environmentalists, and others argue over pipelines, refineries, tariffs, and trade agreements in the oil and natural gas industries, the United States sends tons of coal to eager customers all over the globe. Oil, natural gas, and renewable energy sources may be the ones in the spotlight, but coal is still king. This relatively cheap and easy to transport fuel may be losing its popularity in the United States and parts of Europe – demand has been relatively flat – but the rest of the world is embracing it. China, for example, is the world's largest coal user, producer, and importer. While global demand excluding China inched up from 3.8 to 4.3 billion tons between 2000 and 2011, China's coal usage skyrocketed from 1.5 to 3.8 billion tons. In 2012, China consumed 4.2 billion tons, four times the amount burned in all of Europe. Led by China, Asia currently accounts for 67% of all coal consumption, according to the World Coal Association. U.S. coal exports to China have grown by 88,233% since 2007. India, which is starved for electricity, is currently the world's third-largest coal consumer. The International Energy Administration expects India's coal consumption to more than double over the next two decades. Plus, coal is critical for more than just generating electricity. As Dr. Kent Moors noted in this article, "Despite the move away from coal for electricity, there remain two other markets that still have significant needs. One is thermal coal for heat generation. The other is metallurgical. The need for metallurgical coal is increasing, and it's become an increasingly important source of export revenues for American coal companies." Even in the United States, coal is still the biggest source of energy, with 40% of the nation's electricity coming from coal-fired generators. (Natural gas is second at 29%.) The U.S. Energy Information Administration (EIA), in fact, expects U.S. coal production to increase by 20% over the next two decades, with the increase going toward exports. Much of that will be used for manufacturing: Metallurgical coal is by far the largest portion of U.S. coal exports. In the first quarter of 2014, for example, 17 million short tons of the 28 million short tons the U.S. exported, or 60%, was metallurgical coal. Metallurgical coal exports have grown especially since 2007, when supply constraints in the Pacific market resulted in fast-growing Asian countries, notably China, importing metallurgical coal from the United States. U.S. exports to China grew from just 12,000 short tons in 2007 to 10.6 million short tons in 2012. Worldwide, coal is popular because its price is fairly stable, there is no OPEC or other organization to constrain supplies or drive up prices, and it can be found almost everywhere. More than 70 countries have recoverable coal reserves, according to the World Coal Association. Plus, according to British Petroleum (BP), there are no worries about running out. The energy giant pegs proven reserves at a 109-year supply. And emerging economies not only rely on coal to fuel generators, but also for production of steel and cement, which are critical for growth. Coal may be cheap, abundant, and easy to mine, but it has one major drawback as an energy source… it's dirty. EIA figures show that burning enough coal to generate 1 million BTUs of energy – a standard measurement of environmental impact – would generate 214 to 228 pounds of carbon dioxide, depending on the type of coal. Diesel fuel or heating oil would result in 161 pounds of carbon dioxide, while natural gas would emit 117 pounds. According to the Environmental Protection Agency, burning natural gas for electricity rather than coal produces half as much carbon dioxide, less than a third as much nitrogen oxides, and 1% as much sulfur oxides. But the coal industry is fighting back. 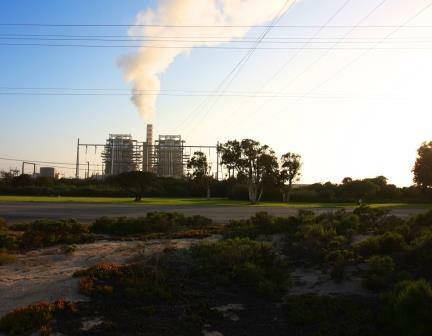 Scrubbers remove carbon dioxide and other greenhouse gases from coal-fired plant emissions, resulting in cleaner air. Gasification chemically transforms coal into synthetic natural gas or hydrogen, both of which can be used as fuel (and are much cleaner-burning than coal). Carbon capture siphons off carbon dioxide before or after burning and then pumps that gas into oil wells as part of the fracking process. Coal will never be an environmentally friendly fuel, but rising prices for other fuels make it economically, as well as environmentally, feasible to add more environmental safeguards to the coal-burning process. Coal also promises energy independence to countries that don't want to be subject to energy cartels, such as OPEC, for their energy survival. With three of the world's 10 largest coal mines, export revenues of $14.8 billion, and more than 174,000 jobs, the U.S. coal industry isn't going to disappear any time soon. America's dependence on coal may decrease as time goes on, but the rest of the world, particularly Asia, shows no signs of lowering its demand for American coal. The day will come, at least in America, when coal is no longer king. But it will remain a cheap, abundant source of energy for decades to come. P.S. Coal may be a mainstay in the global energy mix, but chaos in the Middle East is causing vast upheaval in the oil industry. According to Kent, it's only a matter of time before the "Jihad Spring" spreads like wildfire and touches Europe and the United States. To get Kent's full report, including what it means for your money, please go here.